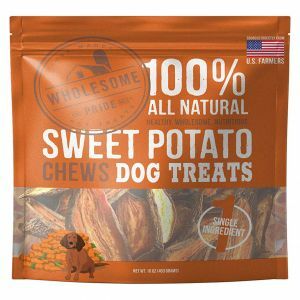 Wholesome Pride Pet Treats Banana Bites Dog Treats, 8-oz bag; Let your pup go bananas for Wholesome Pride Pet Treats Banana Bites Dog Treats. These all-natural banana dog treats are a safe and healthy indulgence that you can give your dog without worry. 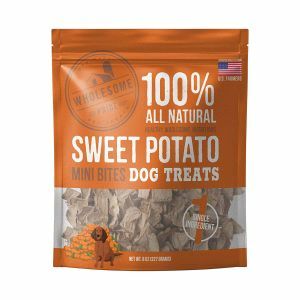 Because bananas are naturally grain-free, these tasty morsels are great for dogs with sensitive stomachs or allergies to grains or gluten. Best of all, there's no harmful additives or preservatives—just 100% dehydrated bananas. That means absolutely no fillers or ingredients you can't pronounce! 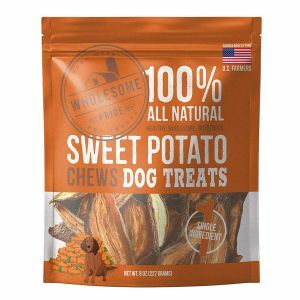 These treats are a source of fiber, vitamins and minerals, and they can be cut into smaller pieces for small dogs, or as training rewards. The treats come in a resealable bag and don't need to be stored in a fridge—just a cool and dry place will do. All-natural, nutrient-rich treats are packed with vitamins and minerals—including beta-carotene, for eye health. Bananas provide an excellent source of dietary fiber, which can aide in your pup's digestion. 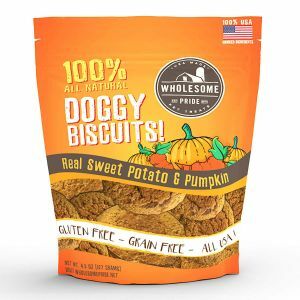 Single-ingredient treats are great for pups with allergies or sensitivities. Made without any additives, preservatives, or harmful ingredients you can't pronounce! Crafted using real bananas that provide natural, wholesome nutrition you can trust.